To promote the new 4-door Mini-Cooper Countryman, the company has created several impressive stunts around New York City. 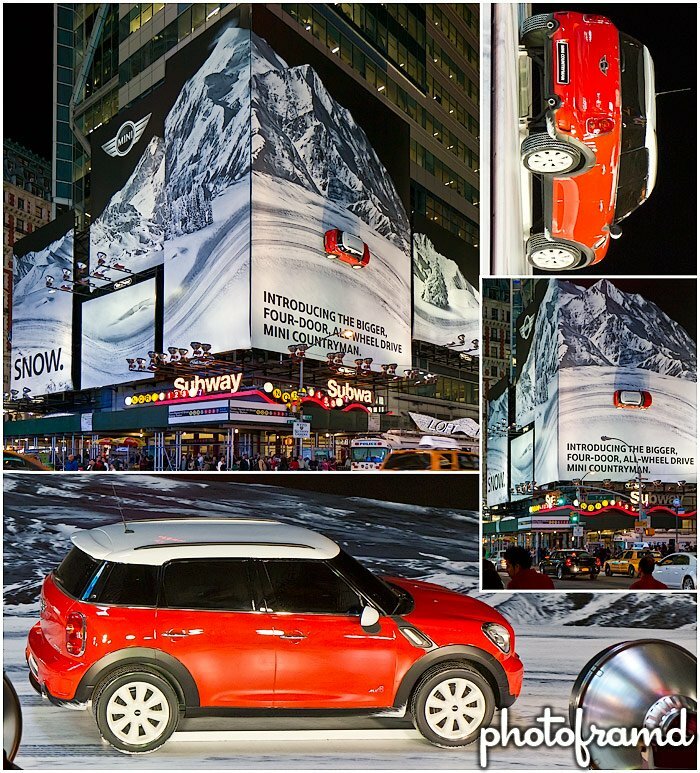 Did you see the Mini-Cooper Snow Globe opposite Macy’s Herald Square (with a real car inside)? But, this billboard tops them all. In the spot previously held by Target’s Holiday display, there is a wrap-around billboard with a full-sized Mini-Cooper Countryman attached. Even though it snowed yesterday, it is technically Spring. So, I am not sure how much longer this billboard will be on display. If you are near Times Square, be sure to take a look. Next → Next post: When does the Moon Rise? There’s an Android App for that!